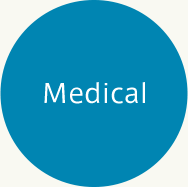 Introduction of Medical & Nursing Products | Sansho Shoji Co., Ltd. 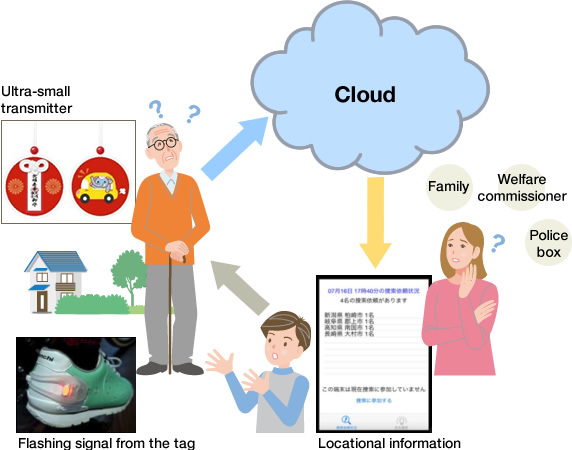 In order to deal with the various issues faced in today’s aging society, Sansho Shoji offers comprehensive solutions with a focus on IoT, from the provision of modules to finished goods and the sale of software. We also assist with the development of medical and nursing products and expansion of sales channels, including overseas. Health management software even based in oriental medicine. Quality sleep app applying vital sensors. Anti-aging products applying vital sensors. A reassuring, protection system provided on the frontline of nursing facilities and home-based care. Non-contact sensing means no burden on people who require nursing care. A system which immediately detects lost or wandering elderly people and alerts their families, carers and district welfare commissioners. This hardly-noticeable, ultra-small transmitter can be placed in an amulet pouch or badge and attached to the clothing, etc. of an elderly person enabling their prompt and safe rescue. 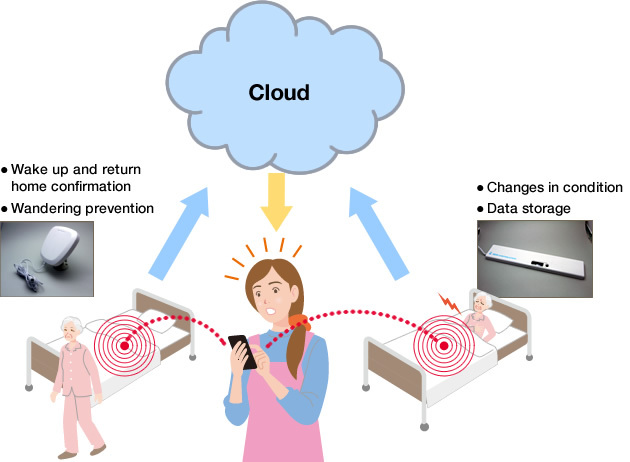 By accumulating vital data collected with a wearable sensor on the cloud, this app allocates a daily health status score and provides advice relating to diet and sleep patterns. “Easy, reassuring, inexpensive”. 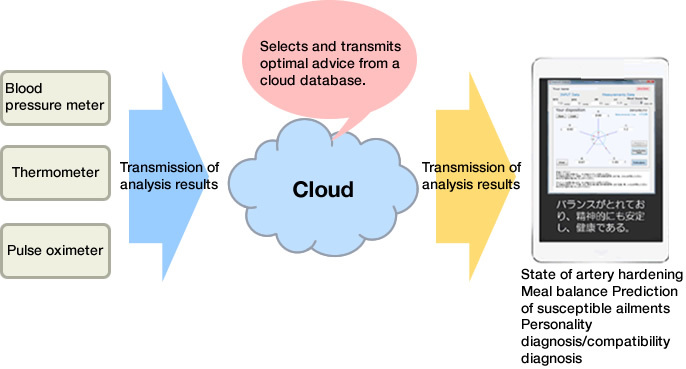 A cloud-type task support system tailored specifically to the nursing and welfare service industry. Comprehensively performs claims, recording and transmission. Characterized by a simple interface which can be used even by beginners after just one day of training. 12 services on offer, including special-care, geriatric health, day care, in-home care, visits, short care, group homes and home-care services in housing for the elderly. Characterized by a simple interface which can be used even by beginners after just one day of training. Also supported on iPad with a special-purpose app. The first blood sampling lancet needle made from resin. Characterized by a specially-shaped tip, meaning the puncture mark is small and bleeding stops quickly. Moreover, fully-sealed individual packaging means that a sterilized state is maintained until the time of use. This lancet needle is designed so it cannot be reused, providing a sense of reassurance. Inquiries regarding products or solutions Please feel free to contact us at any time regarding questions relating to the purchase or introduction of medical and/or nursing products, quotations, system installations and so forth.